This is only a short video, but it highlights how nothing is finalized until the cars cross the line. 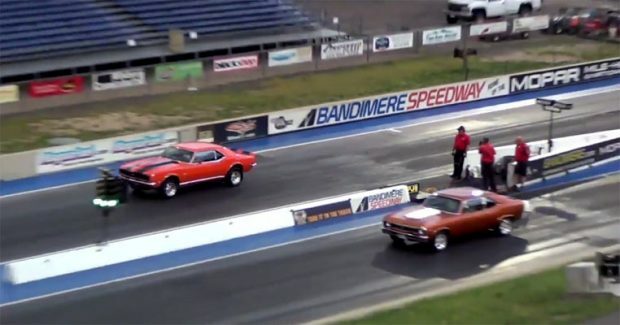 The video doesn’t give any specs of the individual cars, but both cars seem to launch well, with the Camaro initially taking the lead, then the Chevy Nova finds that extra bit of boost to eventually win out. The race is close, but it shows how the choice of a fast start or a boost in mid race can make the difference to the eventual winner.